Sun smooched is more like it! 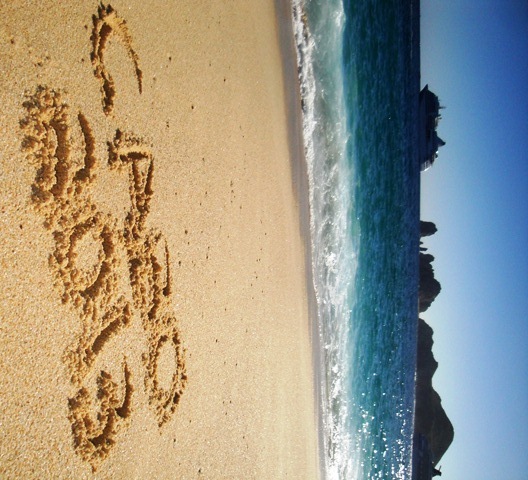 The beach was relaxing, the water warm and it was just what we needed to bring in the New Year. 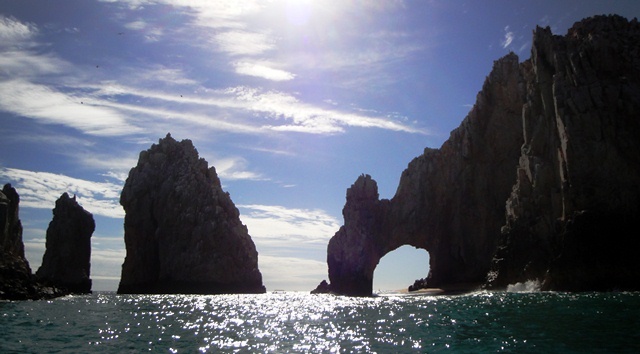 We headed south of the border to celebrate the holiday in Cabo San Lucas. 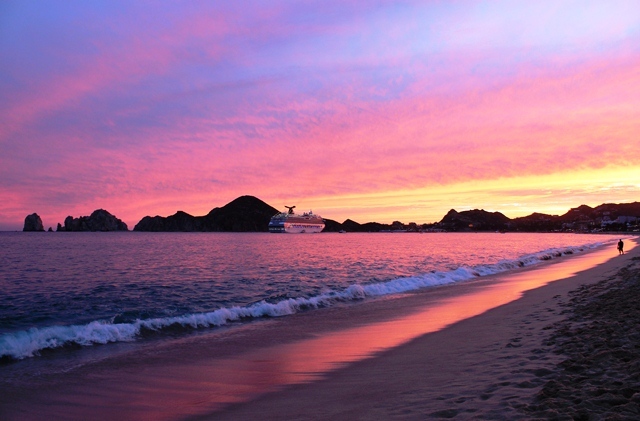 Colorful pink and golden sunsets would finish off an extraordinary day of basking in the sun and time spent at the swim up bar. 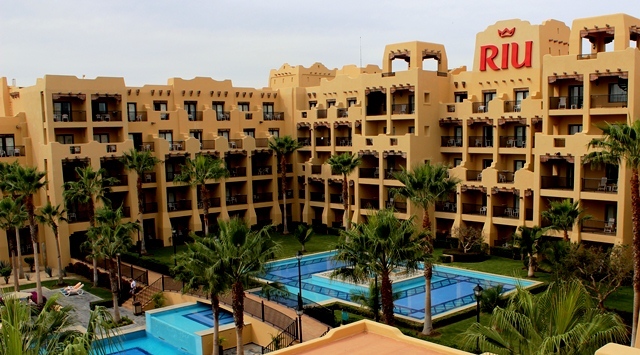 We stayed at the Riu Sante Fe, an all-inclusive resort about a mile down the beach from downtown Cabo San Lucas. I would highly recommend this place. Everything from the food, drinks and staff were top-notch. 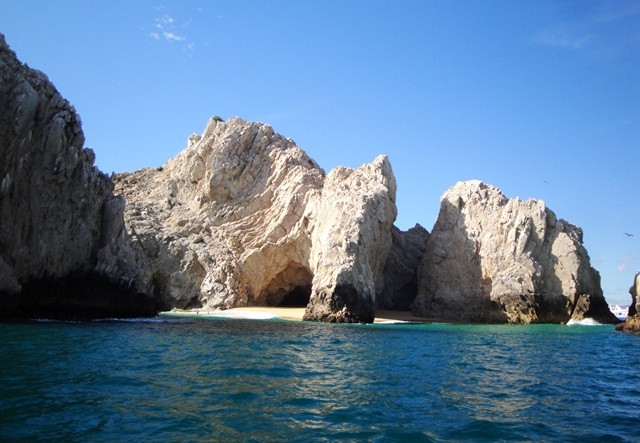 One of the days we kayaked to El Archo and snorkeled in the bay. The rock formations around the southernmost tip of the Baja Peninsula are beautiful and I definitely want to explore the area more the next time we visit. Posted by jingerventures on January 17, 2013 in All adVentures, Mexico and tagged beach, Cabo San Lucas, El Archo, kayaking, Mexico, Riu Santa Fe, Snorkeling, sunsets.